The editor is the interface through which content is altered; it has also allowed the content provider to apply basic formatting to the content, such as font and color. The majority of content management systems have a WYSIWYG editor, the most used feature in a CMS. Appropriate management of files and images in the content. Search is a crucial aspect of any website. Approximately fifty percent of all users start with search when looking for content. However, the search functionality in content management systems is often inadequate. Why should you choose Modx? Conversion of Psd to Modx. Modx is a way beyond a normal blogging tool; it has extra level of detail in features and interface. It aids by providing all links to help documentation and forums in the admin panel menu itself, so you really are not stuck anywhere! Customization is one area that MODX can boast about! In development aspect, e your coding skills may be used to take MODX to levels you so wish otherwise you may simply stick to MODX's own tweaking tools. Oh yes! It comes with a sub-menu that asks you to tweak it as you like as well. MODX has an active community forum along with extensive documentation, always at ready to assist you. It is quite natural to expect an extensive a repository of add-ons, good number of third party developers for templates and themes when you choose a CMs for your website. Features such as custom hosting solutions also contribute in providing the CMS an edge over its competitors. 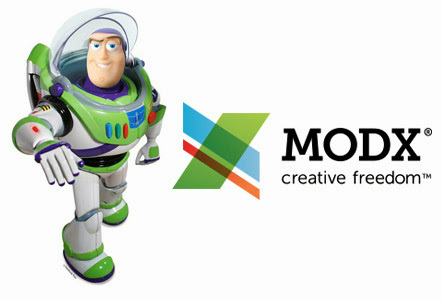 MODX s add-ons beat that of its competitors, you may want to feel rest assured on that! Modx is limitless- Many CMS systems cut a part of the HTML code you enter and limit you to use basic WYSIWYG editors for the codes. With MODx you can type your code and it will be displayed exactly the way you desire so. Is your focus on size of the website? Do you wish to have a large website with an integrated blog and varied features along with it? Do you care about complete control over your website/CMS? Do you pocess developer skills that really need to be fed? If your answer is yes to all of the above then you must begin conversion of PSD files to Modx templates. On a larger perspective, given the conditions of a volatile virtual market and progress seen by businesses today conversion into Modx would set your website ahead in terms of competition! XHTML Champs, the global leaders in PSD to HTML Conversions expanded the area of activities to different fields such as web designing, CMS implementation, E-commerce integration, Mobile applications, Digital marketing etc. The reputation XHTML Champs enjoys as the best PSD to XHTML Conversion service provider increases our responsibilities to show the same excellence in other fields too. More over we are enjoying a good reputation in the following services too.